We are pleased to announce that Matt McNamara of the Sterling Sports Group has joined PV as our new team coach. Matt comes to us with a B.A. in Kinesiology from the University of Colorado and 20 years of experience in coaching and team management. He is a USAC Level 1/Elite Coach with power certification, a USAC certified skills instructor and helped to develop the curriculum for the USAC Beginner Racer Program. He is known to many racers in the NCNCA district as one of the co-directors of the Early Bird Training Series (the Early Bird Crits). He is also a contributing author for PezCyclingNews.com’s product reviews and its “Toolbox” section which deals with current research and coaching trends in endurance sports. Check out his most recent article documenting his experience at the Taiwan KOM Challenge. Welcome aboard, Coach Matt! Matt will be building on the successful PV Racing Program developed by retiring coach Clark Natwick. Clark has been involved with PV for over 20 years, starting as an athlete and also serving as a board member and president prior to his 16-year tenure as team coach. However, Clark will not be leaving the PV family – he is being recognized for his many contributions to the success of our club with the first-ever lifetime membership in Pen Velo. 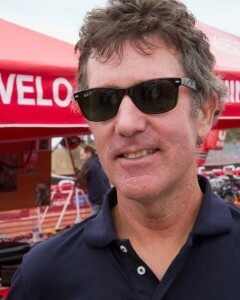 Clark brought to PV a wealth of experience both as an athlete (10 national championship medals) and as a coach (USA Olympic Training Center, USA National Cyclocross Team, USA National MTB Team). 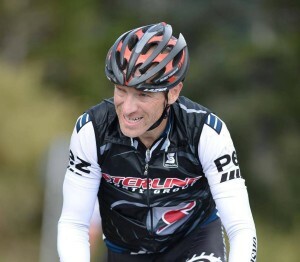 In 2012, Clark made a brief comeback to competition as a masters athlete racing in Pen Velo colors, earning two NCNCA District Championships on the track and a bronze medal in team pursuit at the USAC Masters Track Nationals. Under his guidance, Pen Velo athletes achieved numerous team and individual awards on both the regional and national level. Thanks, Clark, for your service to PV and best wishes in your future endeavors!